Finally a weekend that truly felt like Fall, and a busy one at that! 7 weddings to round out the month of September, and a highly anticipated weekend for our team. A few of our clients met on social media apps such as Tinder and Skype, while others met in college; all of they ways these couples met made for hilariously wonderful toasts and guest favors. Each of these couples were all incredible clients to work with from beginning to end. We traveled all over Nashville to multiple venues and had a blast being a part of each of these celebrations. We're still so excited for all of our clients and #blessed that we are able to do what we love every single wedding-filled weekend.. This Bride and Groom met through Tinder and on their wedding day, I think we were all glad that these two swiped right. They had a beautiful ceremony, a cool weather cocktail hour and their reception was one of Brad's favorites! One of Jenny's childhood friends, Ike, is a singer and he sounds just like Frank Sinatra. During the reception, on the spot, Jenny asked if we could find an instrumental version of Come Fly Away With Me by the Crooner himself. Luckily we did and as Ike began to sing, Brad said he literally sounded just like old blue eyes. Once the song was over, everyone danced and cheered to hear more; it was such an incredible, memorable moment. Jenny and Erik are both big Celine Dion fans and they love her over-singing techniques. They even re-enacted the famous face and grimace during the first dance; it was really wonderful to see two people who can truly be themselves all of the time around one another. It was a more intimate wedding but Brad said this crowd seriously danced and sang louder than any other that he's seen in a long time. Every song they wanted the music louder and they didn't stop dancing all night long! We're so glad that we were able to be a part of such a fun wedding. Congratulations again Jenny + Erik.. Cheers to you both! *We are still waiting to receive photos from this wedding. We will update this post with pictures as soon as we receive them! 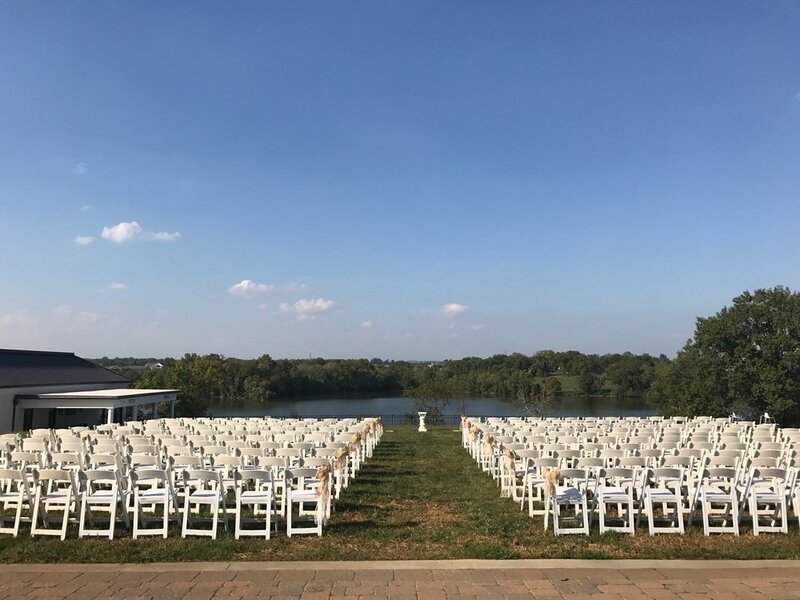 A ceremony start time of 5:30 PM with the gorgeous surroundings of Foxland Harbor and Old Hickory Lake made for the perfect backdrop. Officiant Ray Handisides married Kelly and Matt, and after the very sweet ceremony, it was time to have some fun! For the Recessional song, Brad played "You Are The Best Thing" by Ray LaMontagne to start the night. For Bridal Party introductions, they chose "Midnight City" by M83, and after the grand entrances, Kelly and Matt danced to "More of You" by Chris Stapleton for their first dance. Toasts were given by the MOH, Lindsey, the Best Man, Josh and the Father-of-the-Bride, Keith. Kelly and her Dad danced to "When You Say Nothing At All" by Allison Krauss, while Matt and his Mom danced to "Child of Mine" by Carole King. The open air dance floor was packed all night, and once the sun set it was the perfect evening to celebrate these two newlyweds. We're so glad that we were able to be a part of this special day, and we wish Matt + Kelly a lifetime of love and happily ever after! WOW! What a night celebrating with Kristine and Nicolas, the couple that infamously met on Skype! From the incredible live music with our friends at Blue Tone Music for the ceremony, and then to all of the guests from both coasts who flew in to join in on the celebration of Kristine and Niolas tying the knot! Mint Springs Farm played the part of a perfect backdrop for an early fall wedding. Gorgeous photography from Greg and Jess, as they captured some really sweet moments throughout the day. Kristine's dog, Kota, was also a part of the celebration from the ceremony to the reception, and as an animal lover, I loved loved loved this detail! For the start of the reception, Kristine's Dad, Ken gave a breathtaking welcoming speech to lead into dinner. Dinner was prepared by the team from The Chef and I (so good!!). Aside from being on the dance floor all night long, this couple and their guests absolutely loved Snyder's open air photo booth! Guests were in and out all night and we had so much fun with them. The oldies hit song, Shout was like a family anthem, and Brad and Casey were loving all of the song selections for this wedding! It was nothing but fun and we're so glad that we were able to be a part of it. Congratulations again Kristine + Nicolas, our team wishes you nothing but a lifetime of love and happiness! 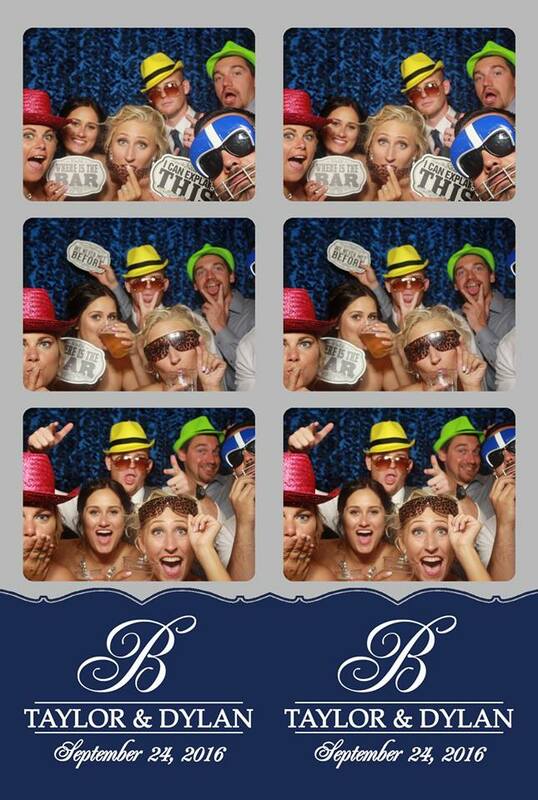 To see + save more of their photo booth pictures, please click here! 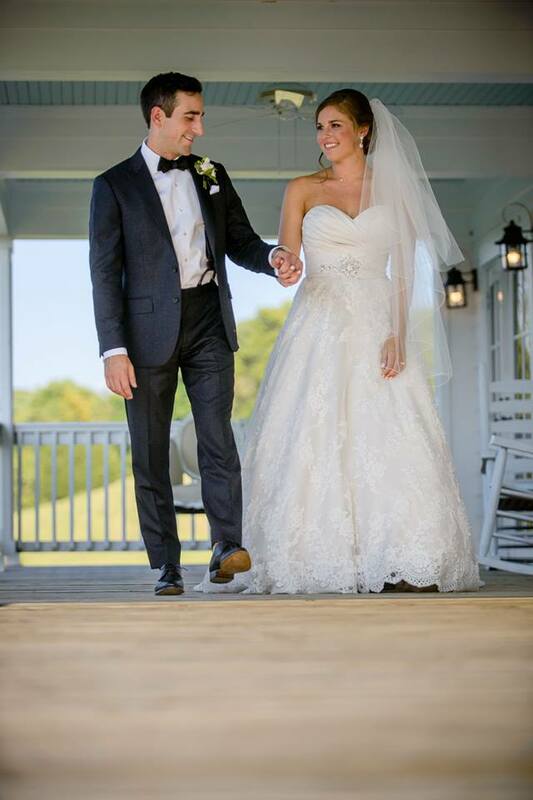 J Clark Anderson was our team lead for Taylor and Dylan's wedding at Saddle Woods Farm. 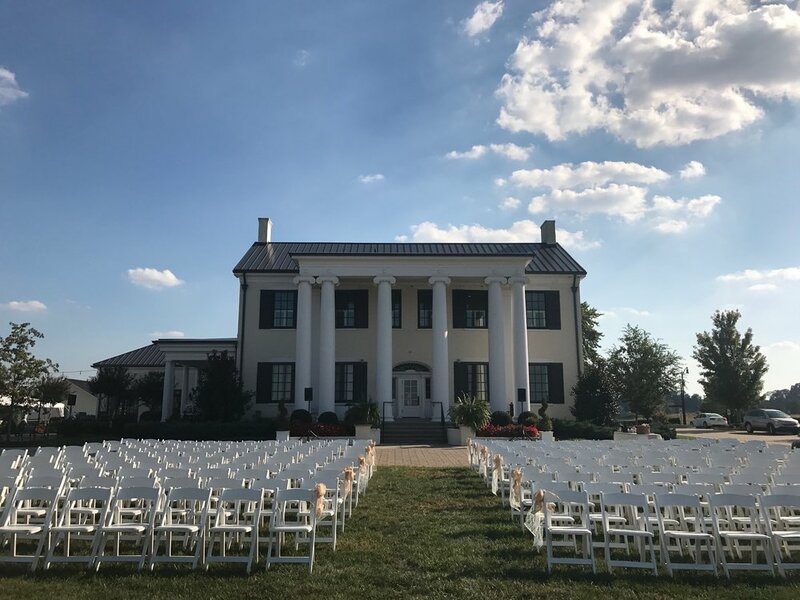 Hard to think of a better place to celebrate a wedding and welcome the fall season than this southern chic barn tucked away on the outskirts of Nashville. They had a beautiful ceremony that led into a gorgeous and high energy reception. The new Mr. and Mrs. came into the reception barn with their Bridal Party to T.I. 's hit, Bring Em Out, immediately raising the bar for the rest of the night! They danced to Yours by Russell Dickerson for the first dance and it was such a sweet moment. They had an incredible dessert station with multiple cakes and multiple donut towers- it was such a cool desserts display that our guys couldn't get enough of it. 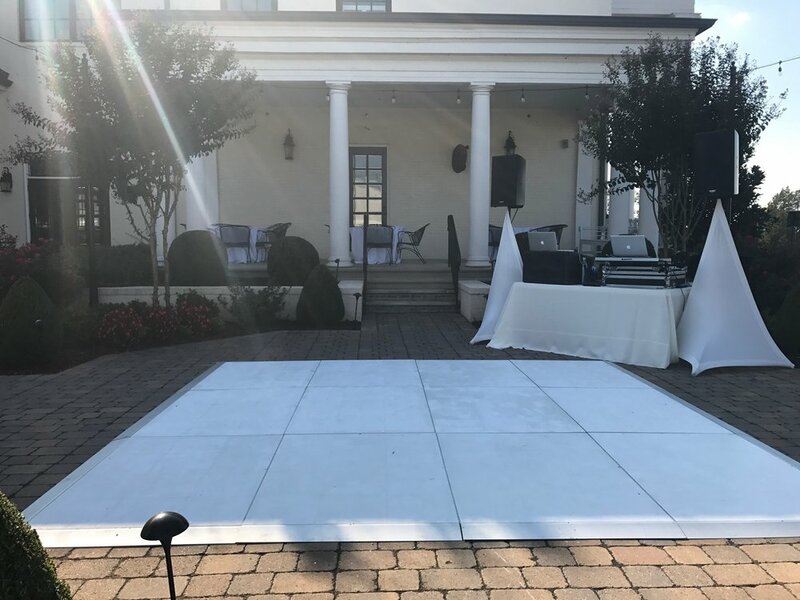 Our team provided our platinum lighting package that includes complete up lighting and a custom monogram light, and we loved the design they chose for their gobo! 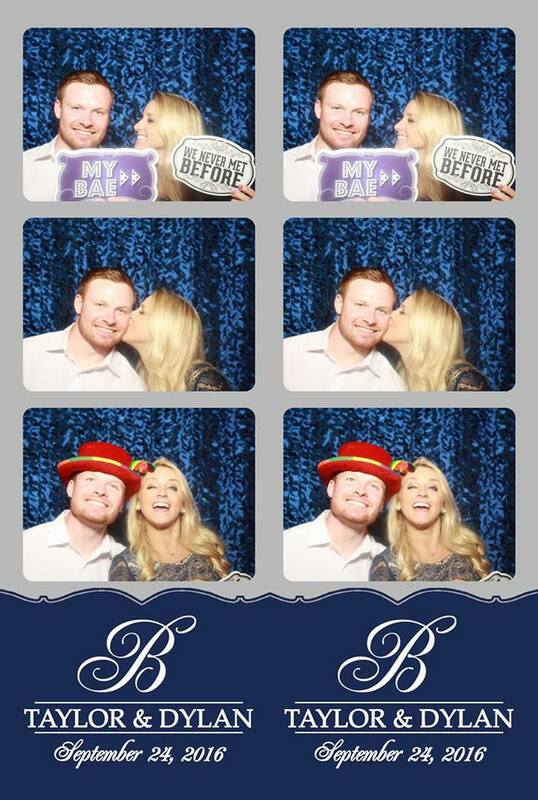 J Clark and Andy provided DJ/Emcee services along with our open air photo booth for the evening. The photo booth was a huge hit as guests spent most of the night in and out of the photo and leaving memories for Taylor and Dylan in their scrapbook! We're so glad that we were able to be a part of their special day and partner again with wonderful clients and vendors! 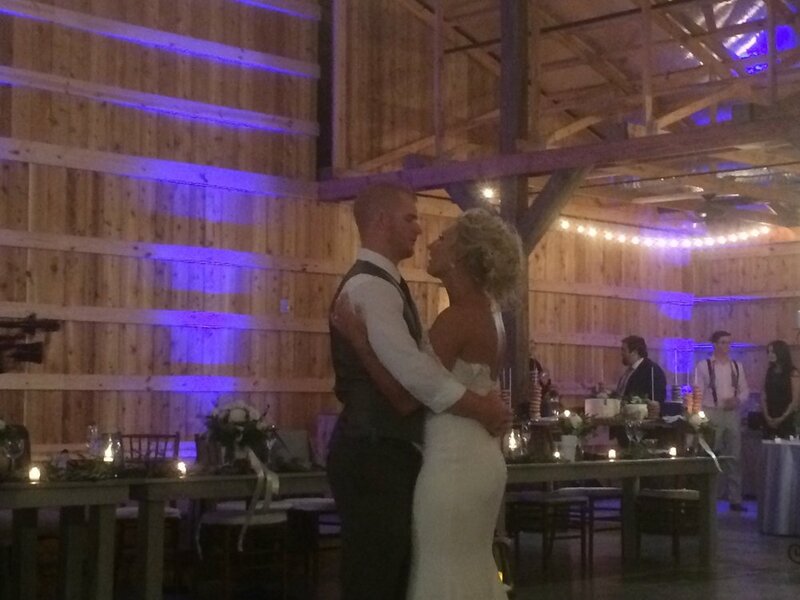 Congratulations again to Taylor & Dylan! Cheers! Weddings of distinction have certainly been our calling card the last several years and this wedding was another one for the memory book! Justin and Meya used the planning and vision from our friend Angela Proffitt and Vivid Experiences. Nashville Hilton Downtown was the venue of choice. So much fun with all of their guests, and happy to have their photo booth pictures available online for you to share, save and download! This group was full of life and happy to be there to celebrate Meya and Justin's newlywed status! They played up all of the props, hats, glasses and signs all night long which made Donald's job that much more fun. Guests recorded messages for Justin and Meya in their scrapbook, and left handwritten memories to last a lifetime. This was a beautiful reception and a seriously beautiful family, friends and couple. We had a blast and we're so glad we were able to be a part of it all. Congratulations again, Meya + Justin! Cheers to you both! 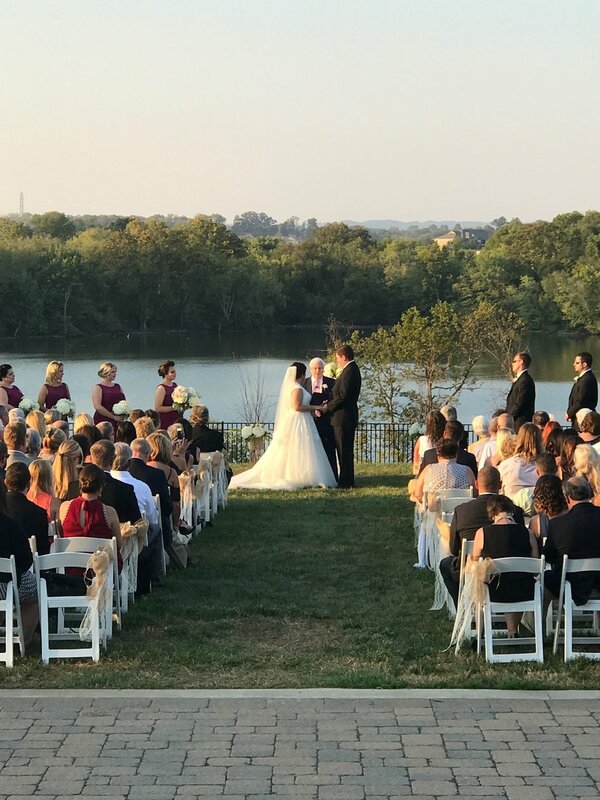 An outdoor ceremony was perfect for the cool weather, and the natural backdrop of Evins Mill only added to this sweet day for Kim and Ryan! 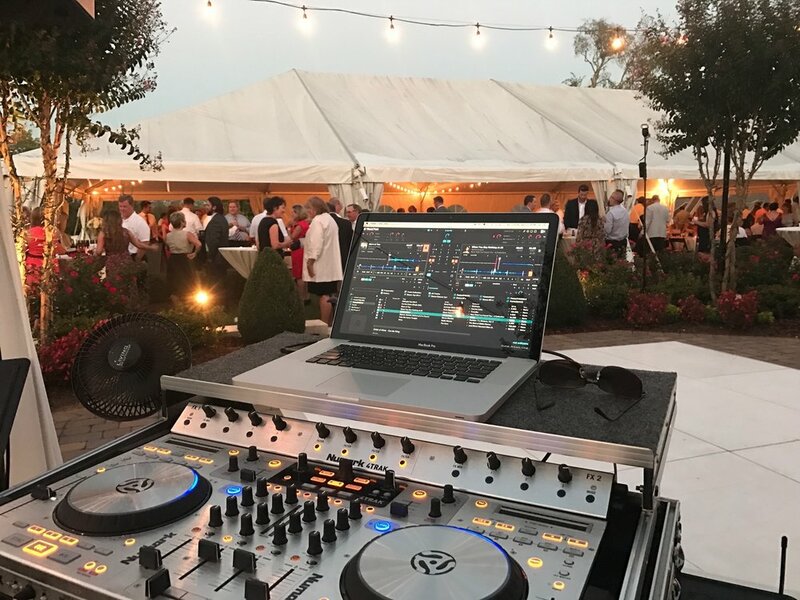 Michael on our team provided the Gold Package for this wedding celebration which includes our DJ/emcee services and custom lighting package. A beautiful monogram light that was a gorgeous detail as guests entered the reception hall. Michael said after dinner was over, the energy in the room turned up, and from then on the dance floor was packed all night long. A good mix of Motown that transitioned into some top 40 hits and requested songs kept everyone having fun! This couples first dance was definitely one to remember as they started with Bryan Adams song, I'll Always Be Right There for about two minutes before they switched it over to a custom mix that they had been working on and planning for. It was so much fun and we're so glad that we were able to be a part of their wedding day! Congratulations again, Kim + Ryan, cheers to you both! 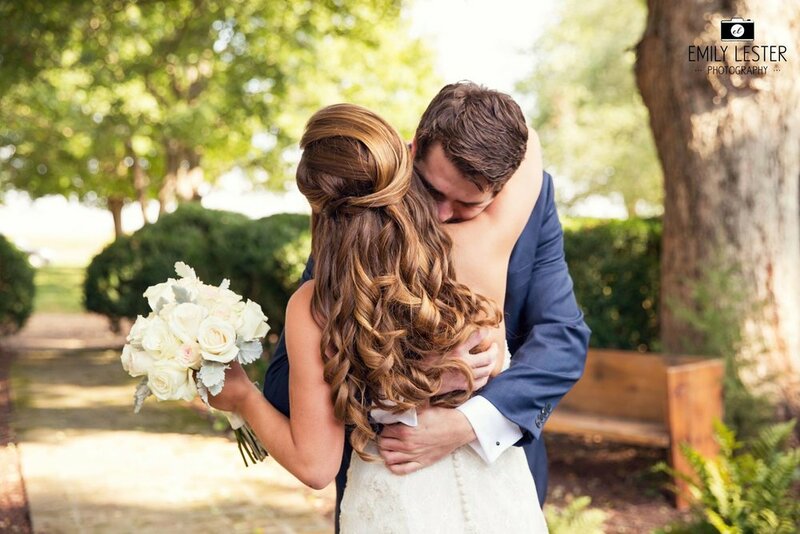 A beautiful wedding at one of our favorite venues, with one of our newest favorite couples! Planning music and song selection with these two was easy and delightful, so Clark really looked forward to this wedding in particular! A sweet First Look between these two that led to an even sweeter ceremony that led this newlywed couple into their reception debut as husband and wife. Lizzy and Brandon chose I Gotta Feeling by The Black Eyed Peas to come into their reception alongside their sixteen member Bridal Party, and later chose Die A Happy Man by Thomas Rhett to officially commemorate their first dance. Emily Lester captured some gorgeous shots of the couple and we're so glad she shared those with us! It was a fun and romantic reception and Clark said he had an absolute blast providing the music and emcee services that he wasn't ready to leave at the end of the night. We're so glad that we were able to be a part of their special wedding day, and we wish Lizzy and Brandon a lifetime of love and happiness together! Congratulations! Another huge congratulations to all of our couples; thanks again for allowing Snyder Entertainment into one of the biggest days of your lives together! A big thank you to all of the venues, vendors and people we partnered with to make this busy wedding weekend more manageable and enjoyable! Contact us today to secure your 2017 date!